Comfort, convenience, aesthetics. The presence of these three components in interior require any room in the apartment or house. His special orientation they find in the kitchen setting. Indeed, it has long ceased to be a place used for cooking. Here the whole family at breakfast or dinner in the output, when all returned home. There are intimate conversations over a cup of coffee. And here spend their time and kids while mom is busy cooking. Because it is important that the situation in the kitchen was positioned and functional. All this under the force to carry out together with IKEA. 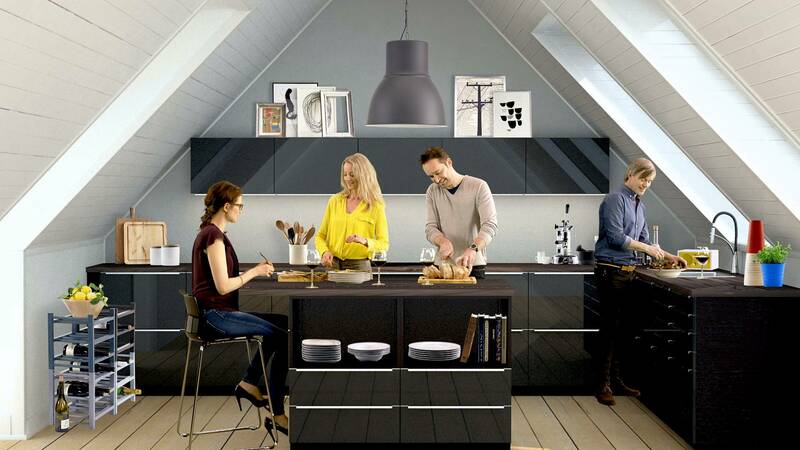 In favor of the Swedish manufacturer also says the acceptable amount for which you have the opportunity to build the kitchen of your dreams. Now the field for "kitchen" creativity will increase significantly. Until 2015 the company IKEA will replace the system FAKTUM on the method. By the way, in Europe has already begun the start of sales. Series Method is radically different configuration of facades, boxes, scaffolds. It manufacturer has provided the presence of shelves for children's things: books, coloring, toys. The new system, due to the presence in it of various sizes, provides a unique chance to gather, their cuisine. METHOD is a modular kitchen that allows you to play with space and create an incredible amount of combinations. All of this can be seen in a short, but very dynamic and creative video. He shot in a campaign, combined under the slogan Wonderful Everyday. The kitchen is divided into several ground wheels that rotate independently of each other. These and convey to the audience the whole variation method that creates comfort for the whole family. 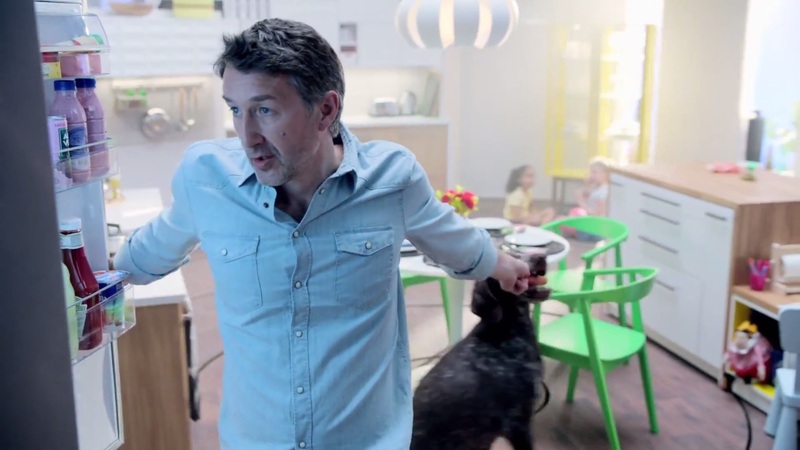 The idea belongs to the London creative agency Mother, and he roller campaign is broadcast to the British. It is noteworthy that IKEA, for example, the Israeli market has focused on the price factor. In the video, which demonstrates the Israeli public, designer in most rich colors describes the kitchen interior. Once in sight falls on the price set, out of the mouth of the designer fly swear words ... and it goes away. But with such irony IKEA says that the quality is quite accessible.